Specialist conveyor belts supplier Rydell Industrial (Belting) Co introduces a new type of baler belting, Buffalo MRT baler belting in the Australian market. In 1972, the first round balers were produced and sold. Today they are the most commonly used type of balers. The grass baled is rolled up inside, with a variable chamber making use of rubberised belts and a fixed chamber employing steel rollers. Once the bale attains a predetermined size, it is wrapped in netting, twine or plastic. The baler then opens at the rear to discharge the bale. Rydell is stocking Buffalo MRT hay baler belting, which has been OE designed and manufactured to suit common types of hay balers. It is a 3-ply construction with a mini rough top cover and a rubberised fabric impression on the underside. The design gives a durable and long lasting belt to ensure trouble-free operation in the field. 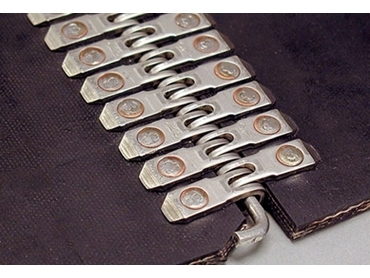 Rydell supplies various sizes of baler belts in open lengths or fitted with original OE fasteners to suit. Rydell also offers a complete range of mechanical fasteners and fitting tools to suit the Buffalo MRT baler belts including Clipper HT wire hooks, Flexco alligator rivet, Mato and many others.